What if I’m not happy with the product when it is delivered? 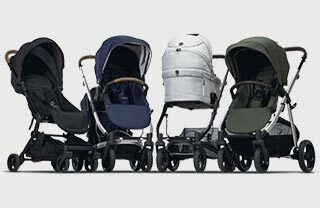 We know that buying a pram is a big decision, which is why getting it right means so much. That’s why we allow you to test drive your Redsbaby pram, become familiar with it and ensure it's right for you and your new little family. As part of our 30 Day Trial period, we encourage you to take your pram out on a few journeys and practice getting it in and out your car. If, within 30 days, you’re not entirely satisfied, you can return the product back to us and we’ll refund the purchase price. Please read more on our 30 Day Trial page, and see our Terms & Conditions.